Ah, February. The shortest month. The month for all things chocolate and heart-y. And for my family, a big month of birthdays. On the blog today, I’m looking back at some fun that happened this month! Only a few new books on the shelf this month….. which is probably a good thing. I need to catch up! The Sea Before Us by Sarah Sundin, As Easy As Riding a Bike by Bell Renshaw, Embers by Ronie Kendig, Out of the Ordinary by Jen Turano. Gifted (2017) I finally watched this family drama starring Chris Evans. It was as delightful as a movie concerning a custody battle could be — and I mean that in the best way. Tiny moments of humor added levity to an otherwise thought-provoking story line dealing with questions of purpose, normalcy, and the importance of childhood. I’m also working my way through the 2008 biographical miniseries John Adams. By next month’s recap, I’m sure I’ll have several thoughts on it! With Valentine’s came some super fun romance-related posts! Like Carrie’s themed KissingBooks 101 “lesson” and Andi’s “guess that author” list! The INSPYs are in full swing, as the advisory board members have been saying on social media. 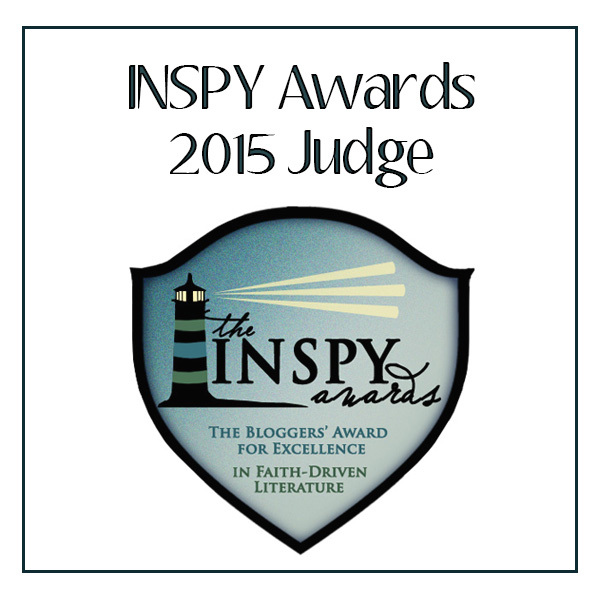 (FYI, INSPYs are the “bloggers’ award for excellence in faith-driven literature”). On March 1, potential judges can apply to participate in choosing the 2018 winners! YOUR TURN! What exciting things happened for you in February? Today marks the last day of January and 1 month passed in 2018. How is that possible?! Join me in looking at some new books added to the shelf, popular posts, and favorites from this month. New books on the shelves (virtual and real): The Lacemaker by Laura Frantz, Blue Columbine by Jennifer Rodewald, The Lost Heiress by Roseanna M. White, “The Rock Harbor Collection” by Colleen Coble, and Nightshade by Ronie Kendig. ARCs: Amongst the Roses by Meghan M. Gorecki, A Refuge Assured by Jocelyn Green, Love in Three Quarter Time by Rachel McMillan, Unbreakable by Sara Ella, The Lost Castle by Kristy Cambron, The Heart Between Us by Lindsey Harrel, No One Ever Asked by Katie Ganshert, and The Cupcake Dilemma by Jennifer Rodewald. Oh, so many movies, so little time! Instead of waxing poetic about a movie or two, I’m just going to list some I’ve really enjoyed lately. What have YOU been watching? One Winter Weekend (Hallmark) |While not without its little moments of cheesiness, this one was 99% believable and one of the best of the winter themes. Plus, the leading actress, Taylor Cole, is a fav. Victoria, season 2 (on Masterpiece Classic, PBS) | My history and romance loving heart LOVES this series! It’s one of the best developed series I’ve ever seen, everything from the historical accuracy, gorgeous sets/costumes, the ❤ great cast, and the nuances of the supporting cast just works. 12 Strong (Warner Bros.) | Riveting and eye-opening, this depiction of true life events just after 9/11 makes me honored and proud to be an American. The Case for Christ (Pure Flix) | This biopic based on Lee Strobel’s life and journey from atheism to faith is interesting and faith-affirming. Go watch it. If you’re still on the lookout for a reading challenge to complete this year, go check out Bethany House’s unique and quirky list. Author Carla Laureano wrote an AWESOME guest post on the Seekerville blog all about The Care and Feeding of Authors. FYI, this list applies to bloggers, too. Just throw chocolate at us when we look like we need it. YOUR TURN! Tell me all about your January in the comments. Thanks to Rissi for sharing this fun Christmas Book Tag! Head over to her blog post or BookTube channel for her tag. 2) Christmas Songs & Carols: What book or author can you not help but sing its praises? Pepper Basham. Every. Single. Time. 3) Gingerbread Houses | What book or series has wonderful world building? Ooh! Anything by Lori Benton. Most recently, Many Sparrows. Her attention to historical details simply transport the reader to the wilds of the frontier. That’s easy. Persuasion by Jane Austen and North and South by Elizabeth Gaskell are two favorites. 5) Christmas Sweets | What book would you love to receive for Christmas? Hmm. My Christmas list consists of the “Discarded Heroes” series by Ronie Kendig, specifically the recent re-releases: Nightshade and Digitalis. 6) Candles in the Window | What book gives you that warm fuzzy feeling? How about a Christmas title for this one? Enchanted: A Christmas Collection by Melissa Tagg. Sons of Blackbird Mountain by Joanne Bischof (2018), Just Let Go by Courtney Walsh (2018), Can’t Help Falling by Kara Isaac, Like Never Before by Melissa Tagg, Cold Shot by Dani Pettrey, Jane of Austin by Hillary Manton Lodge. 8) Christmas Joy | What are some of your favorite things about Christmas and/or some of your favorite Christmas memories? Combined good food and family time! My Christmas Eve tradition of going to my grandma’s house for dinner is a favorite. As my family has grown with new cousins and second cousins, it’s even more fun. Watching the youngest kids all open their gifts is the most fun! And, there’s something cozy about eating a traditional Christmas meal (ham, turkey, potatoes of all kinds, pie, etc.). This tag was created by Samantha at Novels and Nonsense. The original video was posted on her YouTube channel on November 23rd, 2015. Your turn!!!! What would your answers be to these prompts? Join in the tag fun! I added more than a few books to the bookshelf in June. It’s going to be a busy summer! 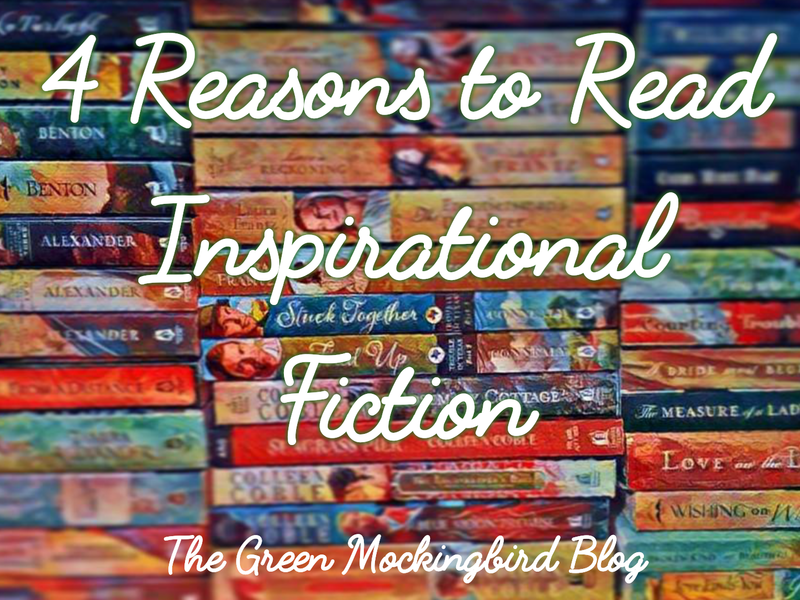 One fabulous just-because read being True to You by Becky Wade, others being Then There Was You by Kara Isaac, Wives & Daughters by Elizabeth Gaskell, and a neat Jane Austen Memoir compilation by some of her relatives. Other for-review copies include Jane of Austin by Hillary Manton Lodge, The Whys Have It by Amy Matayo, High as the Heavens by Kate Breslin, and On Love’s Gentle Shore by Liz Johnson. I really, really want-to-make these olive oil chocolate chunk cookies I found on The Little Epicurean site. Soon. I did bake scones just this week from Hillary Manton Lodge’s recipe in Jane of Austin. Her recipe is for cranberries, but I happened to have fresh blueberries on hand and they worked just as well! Yet again, because of Jane of Austin, I re-watched the 1995 Sense and Sensibility movie. It had been way too long since I had watched it, and I appreciated it all the more this viewing. It is brilliantly cast!!! And the acting performances are wonderful, particularly that of Emma Thompson (I ❤ her). Recently, I discovered the weekly travel show Born to Explore with Richard Wiese on a local TV station. So far, I’ve really enjoyed the episodes on Morocco, India, Uganda, and Cyprus. If you like “armchair adventures”, or traveling through reading, this is a “reading list road trip” from Bethany House Publishers of 2017 releases and their locations across the U.S. and globe.